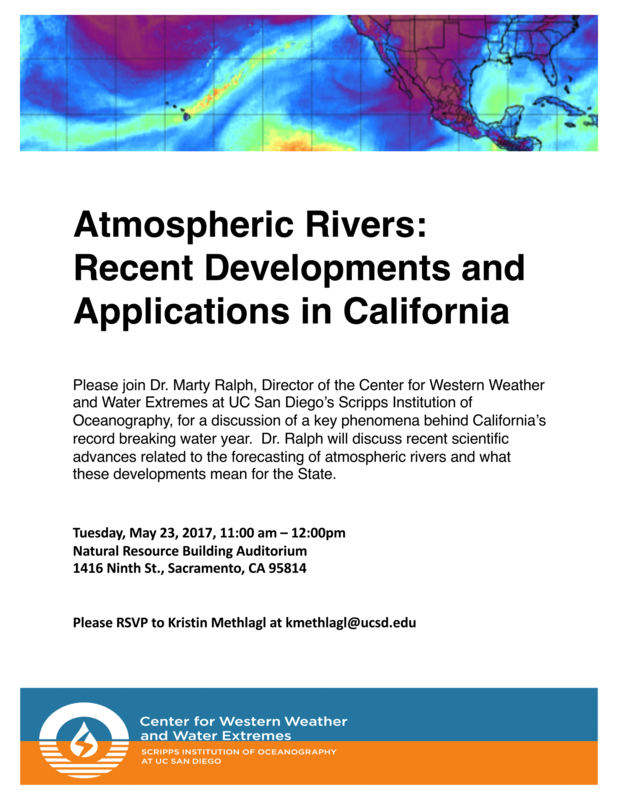 In Sacramento on Tuesday, May 23rd, CW3E director, F. Martin Ralph will be presenting a seminar about atmospheric rivers and their impacts to California legislative and agency staff. The seminar, Atmospheric Rivers: Recent Developments and Applications in California, will provide updates on the impacts of ARs on the current water year and the ongoing research to better understand and better forecast ARs. Dr. Ralph is looking forward to sharing all of the exciting research being done at CW3E with the group.